For you proud aquarists out there, AquA AnimaniA didn’t forget about you! AquA AnimaniA has an impressive selection of high quality and affordable fish food, aquarium supplies and pond supplies to choose from. If you have a certain image in mind for your aquarium or pond, AquA AnimaniA has a variety of high quality and fresh live foods, live aquarium plants, live coral, live pond plants, aquarium kits, aquarium tanks, pond kits, accessories, lighting, pond decor with endless options to choose from. If you are simply looking to take care of your fish tank or outdoor garden pond, we also carry water treatments, filters, filter media and cleaning supplies to keep your aquarium and pond healthy and looking its best. 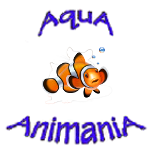 Be sure to stop by and browse around the aquarium and pond sections and sections of the AquA AnimaniA website today!